There is nothing in the curve that really makes you buy this phone. But there is a lot in the phone that can make you take this curve. I have always felt that Android phones have had a problem finding differentiators. That is why many of them came packed with features, mostly software, that are at the best gimmicks. But it is hard to sell a phone on a gimmick, however good the gimmick might be. That is why of late some manufacturers have been looking at design to be the big differentiator. The most different phone as far as design goes has to be the LG G Flex, with its curved screen that can flex itself if needed. Yes, with a curved screen you have a design that is bound to make some heads turn. But this is not just a gimmick of a design and seems very practical. The shape seems more conducive to making calls as it corresponds the shape of the face. But you tend to poke your ear with the top of the phone. The curve is also a bit awkward when you are carrying the phone in your shirt or jeans pocket. And, no it does not fit better in your back pocket. But the form factor is really innovative. In fact, the phone can take a bit of pressure and straighten up. This could be helpful if you accidentally end up sitting on the phone. Now you know why it is called Flex. Another unique feature in this phone is the placement of the power and volume buttons. They on the rear panel, bang under the camera. This seems a more natural place for these buttons at it is here that your finger rests while making a call. However, you have to fight years of muscle memory to get your brain to start using these buttons as default. The phone is also supposed to have a self-healing back cover. But the review unit I got already had a couple of scratches and I did not want to hurt it further. Obviously, it is not healing all that fast. It is the display that is crucial with a phone that is curved. For it is the curved screen that you will feel and use the most. 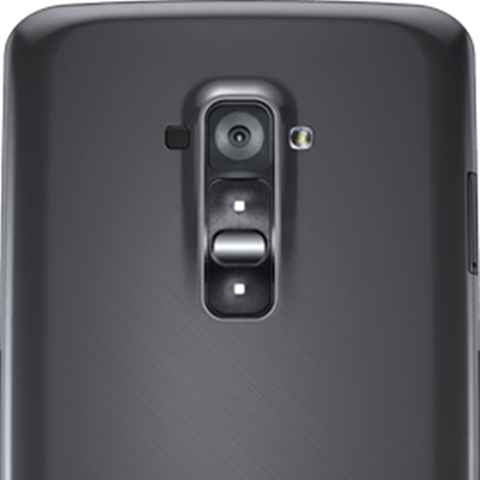 The G Flex has a curved plastic OLED screen, which is sadly only 720p HD. Considering the price of the phone that is a bit of a disappointment. Also, a 6-incher needs to be Full HD or you end up seeing some of the pixels. However, the screen is not all that bad. In fact, I was quite happy running a 4K YouTube video on the phone. I have to tell you this 6-inch screen has been among the best video experiences I have ever had. The curve does work to the benefit of those who love to watch long movies on the phone, especially when they are in office and not supposed to do so. This is also among the loudest phones around and can easily recreate a home theatre experience along with the cinemaesque display. Also, the curved screen is quite effective when you are browsing or reading something online. The G Flex is powered by a 2.26-Ghz quad-core Qualcomm Snapdragon 800 processor, which makes this phone extremely powerful. The benchmark tests scored it above the Samsung Galaxy Note 3 and that at the moment is as high as you can go. You will never ever feel a sense of lag and I can safely say this is among the smoothest smartphone experience I have ever had. This phone has a very practical software tweak that I really loved. A double tap can wake up this phone and that seems to be quite an achievement for Android, which needs multiple prods to wake up usually. The phone runs Android 4.3 Jelly Bean and is devoid of any major UI tweaks. There is also a dual window line in the Samsung Mega series phones. This one too is very convenient to use and a good feature to have a large screen phone. It does have a bit of a heating problem when you push it to the limits, like with a benchmark test. Plus, I felt the audio quality for incoming calls was not all that great even at full volume. I had to find a silent spot once to take a call in a mall, a fete that proved impossible. LG calls its a high performance camera, but I was not all that impressed. It has some good features like a manual focus. But the ultimate results were a bit too washed out for my liking. It also seemed to get confused when there were two light sources in the room. Overall, the pictures are good in natural light and very iffy in artificial light. The front camera is 2.1 MP which is again a bit too low considering the price and that fact that 5MP is almost the standard now in high-end cameras. The battery reminded me of the Note 3 and lasted well over a day, which is an achievement for a six-inch screen. It is more of an achievement as this one has a curved battery. 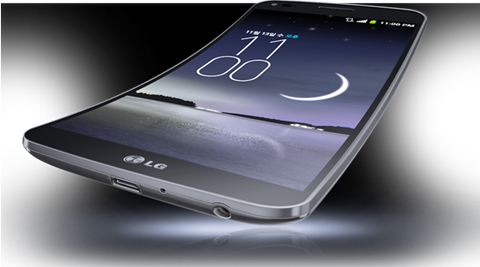 So, should you buy this curved phone? There is nothing in the curve that really makes you buy this phone. But there is a lot in the phone that can make you take this curve. For one, it is among the most powerful Android around. Plus, there is a certain sore-thumbishness attached to this design that will make the phone and its user stand out. But there is also a very heavy premium to pay for all this. It is the currently the most expensive phone in the market, if you are not the one to consider a Vertu or a special edition BlackBerry in the list. For the Rs 69,999 price tag, it is really cheap that this phone does not have a Full HD screen or a 5MP front camera. But then you can always overlook these minor shortcoming to enter a very elite club, a curved club.